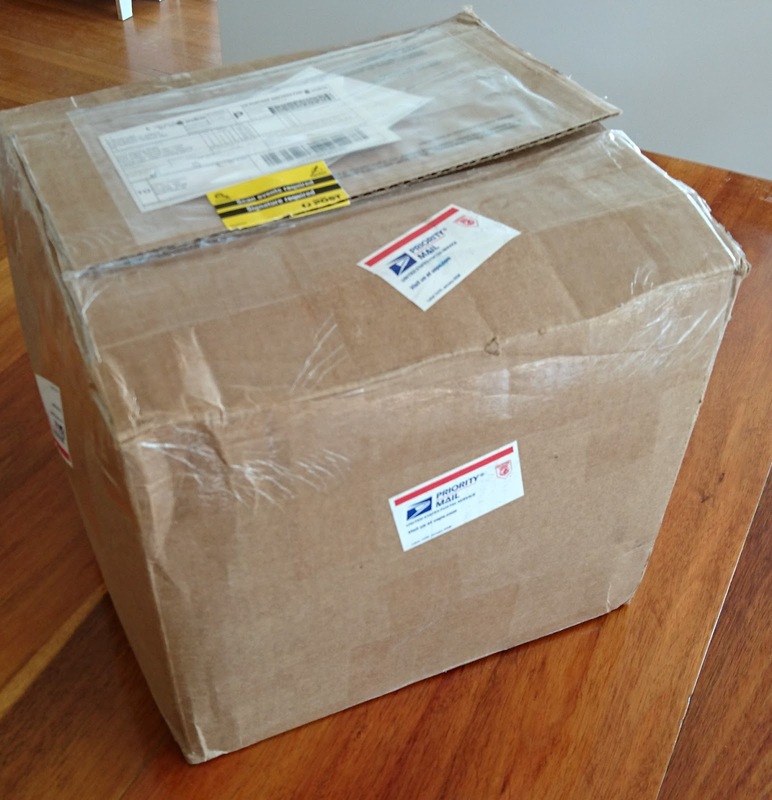 My parcel finally arrived last Tuesday which was Day 13 of the estimated 6 to 10 day delivery time, I should probably be glad that it didn’t take longer. 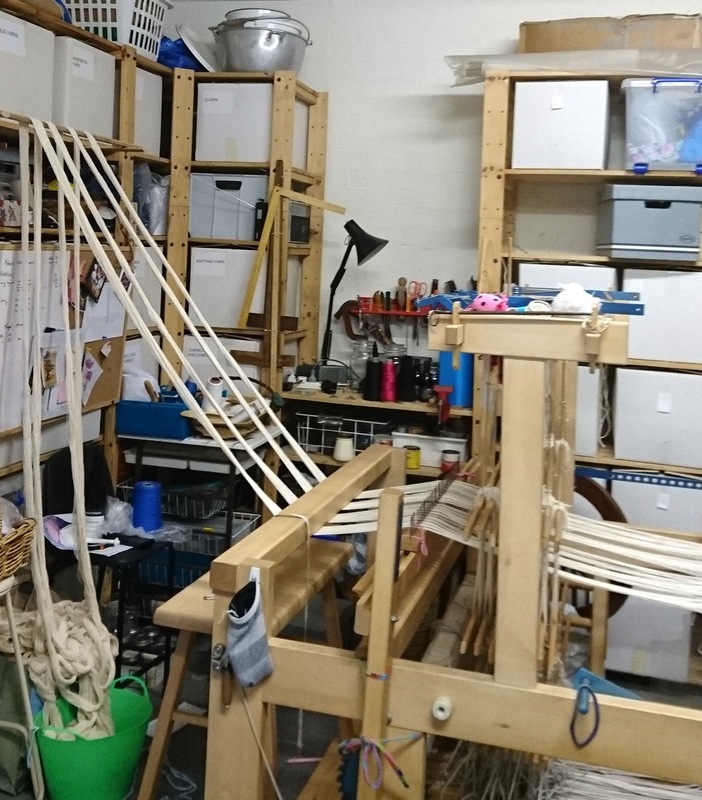 About a third of the natural 8/2 cotton has been made into a warp already and weaving is underway. The warp was 15 metres long, 528 ends and not one knot in the yarn. 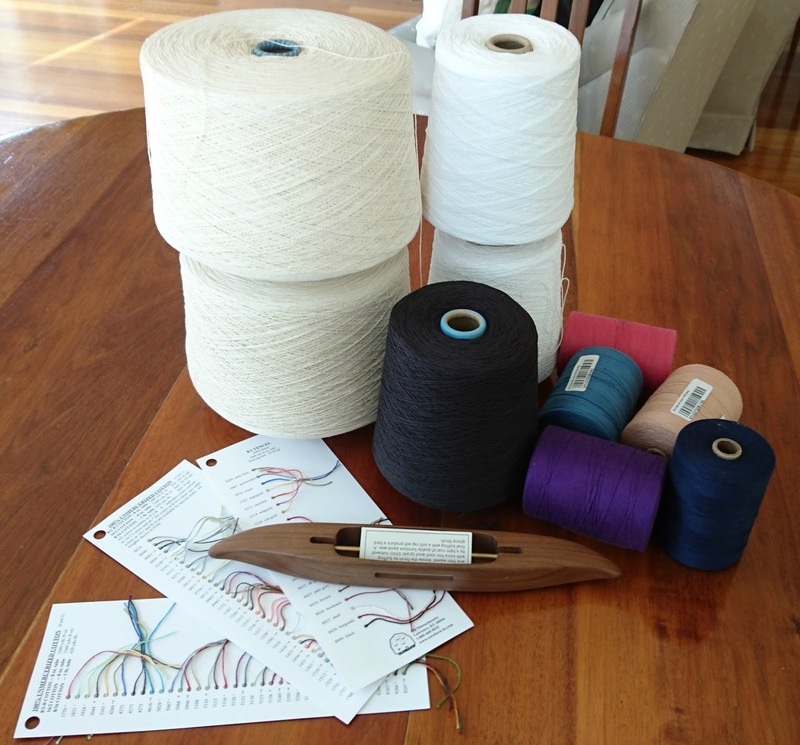 There are some cones of basic black and white 8/2 cotton and some cones of Brassard 8/2 which I’m looking forward to trying. The Bluster Bay shuttle is so beautiful that I just had to stroke it every time I walked past, black walnut in case you wanted to know. I’m now weaving with it and know why people rate the Bluster Bay shuttles so highly. so I started again with the 12 dent reed which was much better. and the current one is sage. 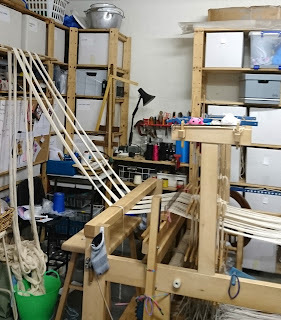 And what did I accomplish over the weekend, where the weather was so hot and humid that I wouldn’t have been able to work on the big loom in the garage, even if I’d had the yarn? I finished the fringes on the silk/linen scarves. 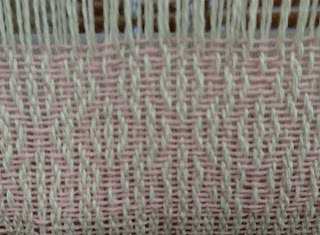 They both probably need a second wet finishing to give them a bit more drape, particularly the one with the linen weft. I finished the band for the glasses cases and put a chenille warp on the 4 shaft loom. 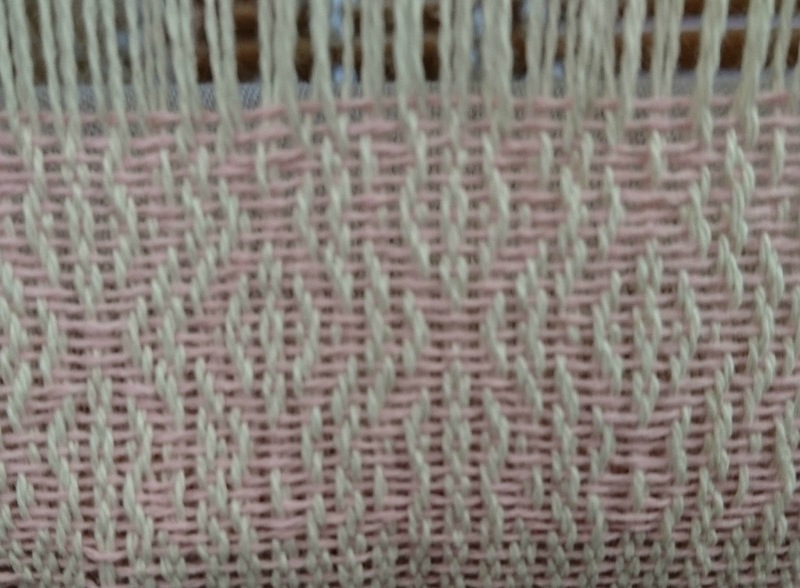 I’ve made good progress there, 2 are woven but need to be finished and another chenille warp is on the loom. Then I retreated to the air conditioned bedroom to watch the final of the Australian Tennis because it was the only comfortable spot in the house. Glad you got a giggle out of it. The world seems to need feedback for every transaction, even if I deposit $200 at the bank they send me an email to see if I had a good experience. It seems to apply to everything here and I know when I was in the US last year I got one after shopping online at Macy's. The person there really did go out of her way to make something complicated happen, and quickly. When I replied to them, I suggested she should get a raise so I do respond honestly.